Did you know that the Pioneer Valley Theatre News has a Facebook page? You can find lots of events and more information there! I am a theatre person who found my way into decades of work in the orchestral world. My passion for “teaching artistry” led me to help develop the emerging field in the late ’70s and 80s. I developed the teaching artist program at Juilliard, which led to a long parade of projects including: consulting with seven of the ten largest orchestras in the US; and work with many conservatories, school music programs, cities, and states on arts education policies. My artistic soul, however, still belongs to theatre, and the classical music world still seems like a strange foreign culture to me. Happily Sponsored by Strong & Healthy Smiles by Dr. Sue Keller in Florence. WE'RE AT THE 121 CLUB (formerly Apollo Grill) AT EASTWORKS IN EASTHAMPTON FOR THIS SHOW!!! This month's special guest stars are two of Boston's finest improvisers, Misch Whitaker and Pat Parhiala who perform their white-hot show "Pat & Misch Break Up," a fully improvised musical based on one audience member's best break up story. With musical accompaniment by Shenelle Williams. Musical! Comedy! Star-crossed lovers! Misch & Pat are must-see show! The Ha-Ha's perform their popular show "Shrink: Where Freud Meets Funny" in which they create a kooky cast of characters in two weeks of improvised therapy sessions. Inspired by audience suggestions, you never know what you'll see on this therapist's couch. One thing we do know, it'll be hilarious. Audiences can look forward to a full evening of comic entertainment rated PG-13 in this handicapped-accessible space. For more information about The Happier Valley Comedy Show, visit the show website or email. TheatreTruck, Eggtooth Productions, and Shea Theater Arts Center offer the opportunity to be part of a national movement to create sanctuary for all. Please bring a light, and join us! 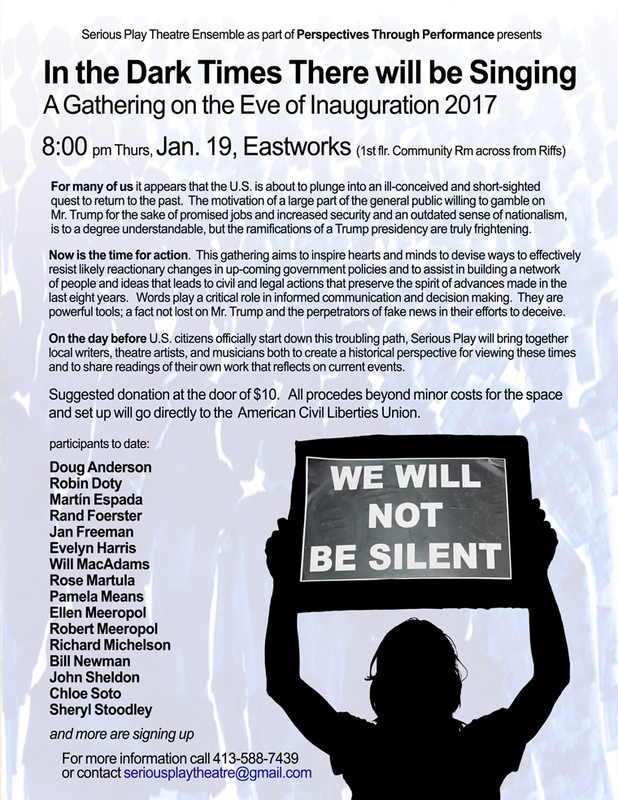 ON JANUARY 19TH, 2017 AT 5:30PM IN EACH TIME ZONE ACROSS THE COUNTRY WE WILL GATHER OUTSIDE OF THEATERS TO CREATE A "LIGHT" FOR DARK TIMES AHEAD, AND TO MAKE, OR RENEW, A PLEDGE TO STAND FOR AND PROTECT THE VALUES OF INCLUSION, PARTICIPATION, AND COMPASSION FOR EVERYONE, REGARDLESS OF RACE, CLASS, RELIGION, COUNTRY OF ORIGIN, IMMIGRATION STATUS, (DIS)ABILITY, GENDER IDENTITY, OR SEXUAL ORIENTATION. On January 19, 2017 at 5:30 p.m. in each time zone across the country, members of the theater community - from Broadway to regional theaters to high schools and colleges and community theaters - will come together to launch The Ghostlight Project. Gathering outside of theaters on the eve of the Presidential Inauguration, people will join in a collective, simultaneous action, together creating “light” for challenging times ahead. Inspired by the tradition of leaving a "ghost light" on in a darkened theater, artists and communities will make or renew a pledge to stand for and protect the values of inclusion, participation, and compassion for everyone--regardless of race, class, religion, country of origin, immigration status, (dis)ability, gender identity, or sexual orientation. January 19th is a moment of gathering within a larger resistance to intolerance at all levels. We aim to create brave spaces that will serve as lights in the coming years. We aim to activate a network of people across the country working to support vulnerable communities. This is not a substitution for protests or direct action, but rather a pledge for continued vigilance and increased advocacy. 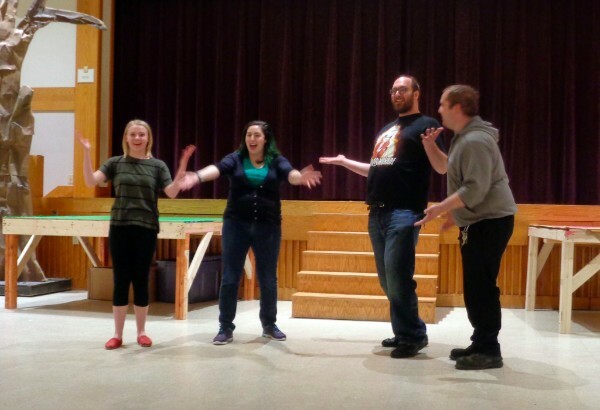 Silverthorne Theater Company will join with other area theater organizations in the Upper Valley and southern Vermont to participate in The Ghostlight Project – Upper Valley at 5:30 pm on Thursday, Jan 19, outside The Arts Block in downtown Greenfield. This is a nationwide effort with theaters and arts organizations all over the country planning actions. All are invited to add their voices to this highly significant event. The full description is at http://www.silverthornetheater.org/news-announcements/. Open mic – anyone may bring an appropriate speech/monologue/piece of dialogue/song - (3 minute limit). Details about the nationwide effort at https://theghostlightproject.com/ This event is FREE and OPEN TO ALL! Directlly following a community vigil (part of the nationwide Ghostlight Project event) outside the Shea Theater Arts Center on January 19th at 5:30pm, come inside the lobby bar to talk, meet new collaborators and share space with old friends. We kick off our 2017 Meet N' Greet series with a day of Action for theatre makers and allies/supporters. Saturday, January 21st at 4pm. Monthly improv comedy show for the whole family. Best for 5-12 year olds and their adults. Tickets at the door: $10/Adults, $5/Kids (3 yrs and under free), $30/Family Max. For more info visit www.happiervalley.com. Facebook event here. Happily Sponsored by Eastworks, Easthampton and River Valley Co-op in Northampton. 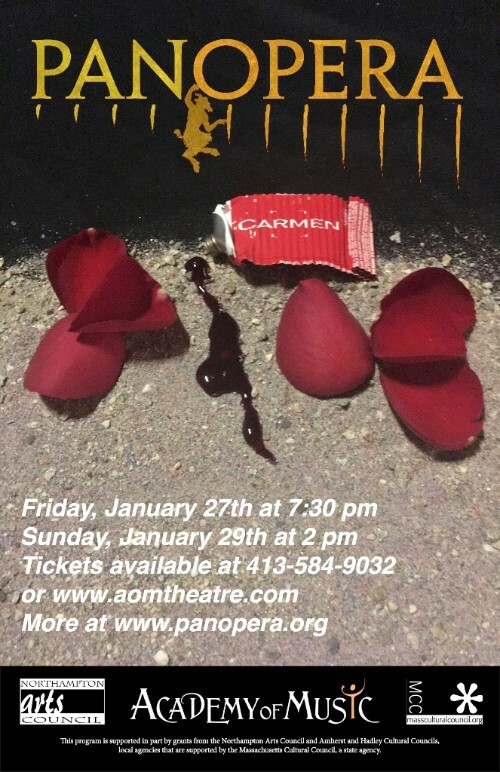 Following the success of last year’s La Boheme, Panopera presents perhaps the most famous opera ever: Georges Bizet’s Carmen. Sam Rush of New Century Theatre directs the cast of regional professional singers in this classic tragedy of obsessive love, accompanied by a full orchestra, conducted by E. Wayne Abercrombie. Get a discount on advance tickets purchased before January 19. Tickets available online or by calling the Academy of Music at 413-584-9032 x105. 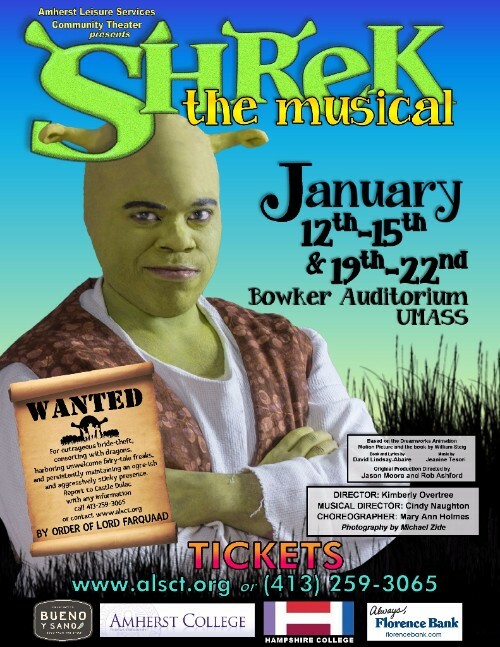 Auditions for this show will be held on Thursday, January 12th at 6:00 in the Auditorium at South Hadley High School. This show is rated PG-13 so parental discretion for auditionees is advised. Applications will be reviewed as they arrive, starting immediately, and will be accepted until January 23, 2017. Finalists may be invited to make a presentation to the VLO Board after that date. 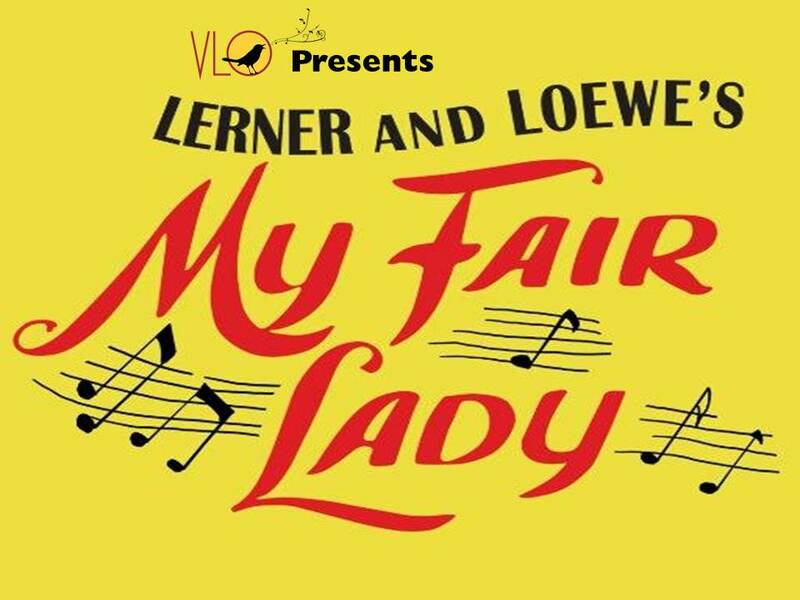 A description of the stage version of My Fair Lady can be found here. 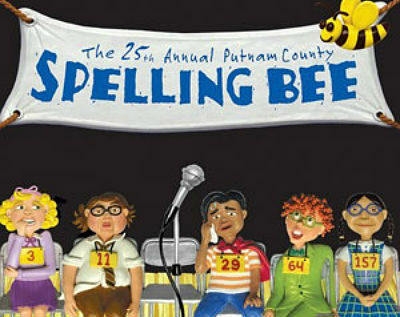 Performances April 21, 22, 27, 28, 29 at 7:30 PM, Theatre 14. Auditions will be held Sunday and Monday, January 29 and 30, 7-10 PM in Acting Studio 1. Callbacks will be on Wednesday, February 2, 7-10 PM. No appointment or preparation necessary. Sides from the script will be provided. Perusal scripts are available in Josten Library. Roles for 11-13 actors. Five college and community members welcome. We welcome diversity and color inclusive casting. About the play: A powerful new translation of the Greek classic by award-winning Classics scholar, poet, and writer Anne Carson. Pentheus has banned the wild, riutalistic worship of the god Dionysos. A stranger arrives to persuade him to change his mind. Euripides's electrifying tragedy is a struggle to the death between freedom and restraint, the rational and the irrational, man and god. Facebook event here. More information on the website. 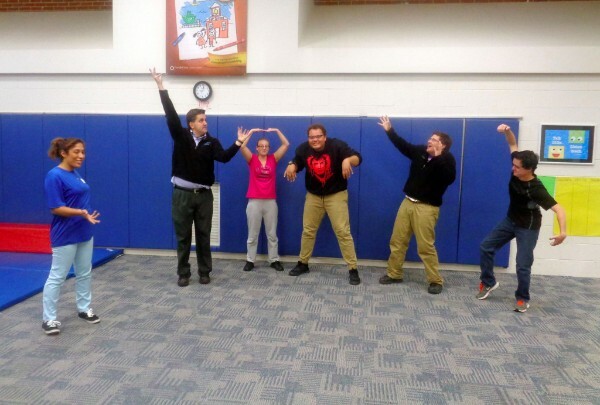 Start the New Year with a night of improv games that we'll teach and play alongside you! All levels welcome. Facebook event here. * Free if you sign up for our upcoming 6 week session that starts February 13th!